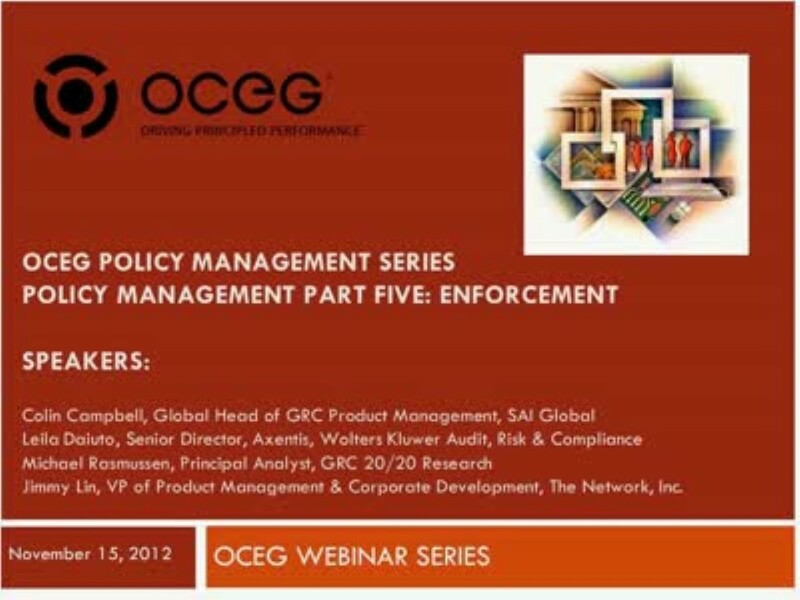 This fifth installment in the Policy Management webinar series addresses the critical issue of ensuring policy compliance. Join our panel of experts for a roundtable discussion of the challenges, best practices, and benefits of a measurable and trackable system for policy enforcement. We have emailed instructions to access Policy Management Part Five Enforcement to . Make sure the email arrives in your inbox: either add "support@oceg.org" as a safe sender to your email platform, or if you use Gmail, drag our email into your Primary tab.